Found 3 blog entries for April 2013. 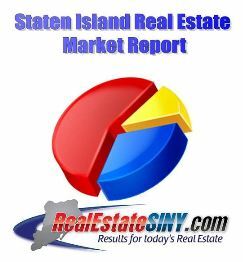 April's real estate market report for Staten Island. Thursday, April 11th, 2013 at 9:51am. If you take a look at the residential sales over the months following Hurricane Sandy, you can see that the storm definitely had an impact on the amount of homes being sold. In November of 2012, home sales had dropped almost 15%. The next month seemed to make up for the lack of homes being sold, with 244 home sales-an increase of over 34%. After December, however, there seemed to be a steady decline in the number of homes being sold. By March of 2013, that steady decline showed up at 20% from the beginning of the year, with only 179 homes being sold. However, this seems to be rather normal for the number of homes being sold in March, though that number has been steadily decreasing over the past four years. Tuesday, April 9th, 2013 at 10:17pm. This amazing one bedroom apartment has hardwood floors in the living room and bedroom. Side entrance into this lovely home leads into a very nice sized living room with separation from the kitchen. The kitchen is updated with space for a table and chairs and tons of lovely cabinets. This apartment has a great location and is conenient to transportation, shopping and house of worship. Call me directly to schedule and appointment. Thanks. Stacey - 347-349-0159. Tuesday, April 9th, 2013 at 9:42pm. This beautiful bi-level apartment is located in a fabulous area in Huguenot. Fabulous space, lots of cabinetry in this updated and very well kept kitchen. The formal living room space has a magnificent window allowing for lots of natural light. The separation between the living room and the kitchen divided by a few stairs gives a more formal feel to the living room space. This apartment's locale is extremely convenient to public transportation, shopping and houses of worship. Please call me directly to schedule your viewing of this apartment. Stacey - 347-349-0159.